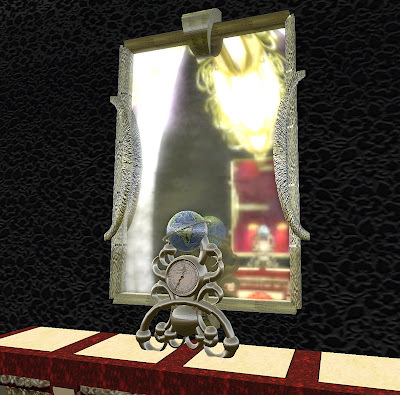 One thing you must see this weekend at the Second Life® Relay for Life (RFL) event is the mirror by Talia Jiang. Head over to Robin Hood's Castle and follow the pink strip to find it (teleport directly from here). More than 80 teams have come together to create an experience with the goal of raising $125,000 US. A walkathon relay has just begun that will run from July 19th at 10am SLT through July 20th at 11am SLT. The track, spanning 35 sims, will take you past wildly imaginative and informative builds that have been created specifically for this effort.